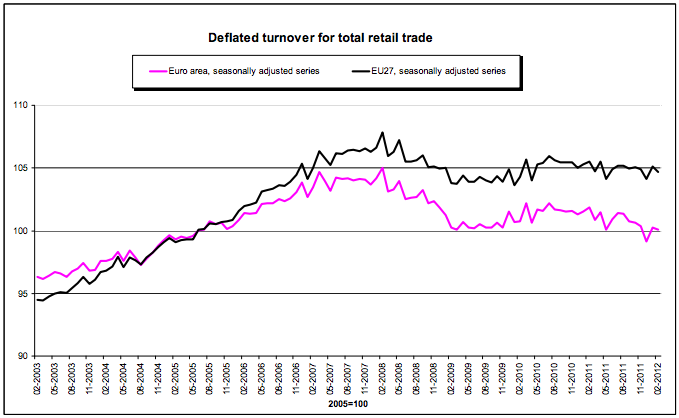 The latest data point on European trade is from Feb 2012. 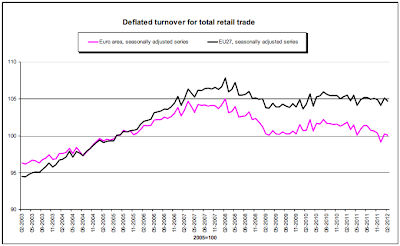 As you can see above, things are still pear-shaped - particularly in the Eurozone. The LTRO operations in December (and again in February) seem to have forestalled the immediate prospect of financial collapse, but, so far, do not appear to have done anything to arrest the trend of a deteriorating real economy. Continued economic deterioration will eventually lead to further problems in banks and sovereign finances.